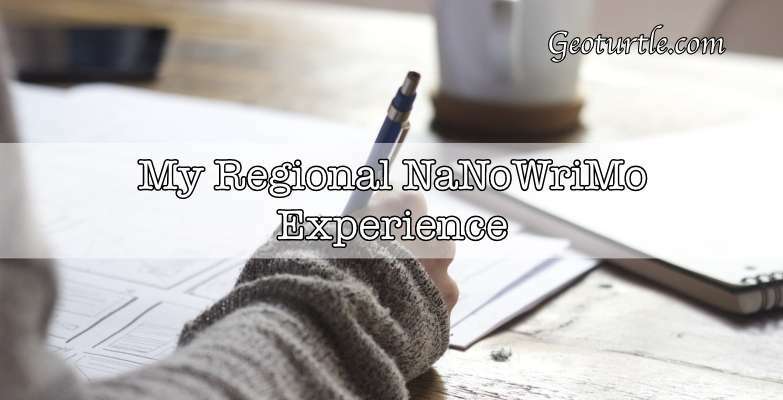 Today I’m going to discuss my experience in immersing myself into my regional NaNo community. What I liked and didn’t like and why. 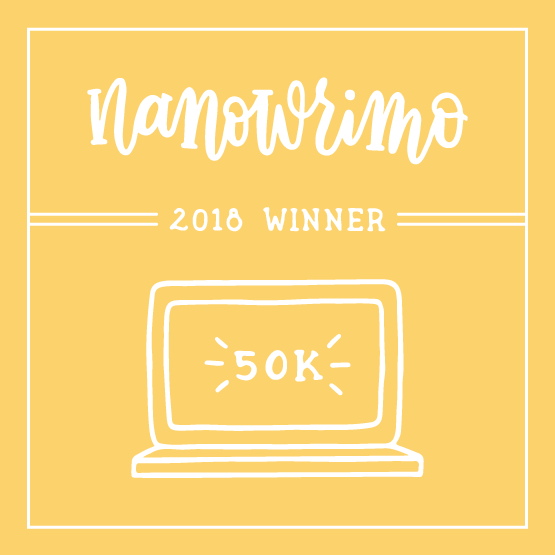 So up until this November I didn’t even know there was such a thing as a regional NaNoWriMo. In Camp Nano last April I contacted my “local” Municipal Liaison (ML) and asked how this whole thing worked. I was super confused because July Camp Nano came and went and I got nothing in my email about the local events. Oh well, so much for that idea. Then October hit and I got a NaNo email. Apparently regional NaNoWriMo is for the actual month of November and not for any of the camps. Well, I decided to give it a try. I showed up at my local library for the kick-off party and sat and watched people and how they interacted and what they did. I can say my favorite part of that whole “party” were the stickers.. ok, and the little tiny “plot bunnies” that one of the ML’s made out of pom-poms. Those were adorable. Otherwise the party was really awkward and empty and like… awkward. I didn’t really want to talk to anyone so I sat in the chair and did the little thingies they had like wordsearch and such. (I’m not an introvert. I just didn’t know what I was doing there) I did end up talking to a couple of ladies and it was a bit smile worthy. Otherwise, I had higher hopes for the write ins. As a side note the man who was “hosting” the kick off party at my library offered an “online option if you prefer to hide behind a screen,” which rubbed me wrong and I don’t know if I was in a bad mood or something. I personally prefer doing NaNo online a lot more (but this is for later) but him saying it that way, that people who do Nano online don’t actually genuinely participate in NaNoWriMo sort of made me wrinkle my nose. The write-ins were SOOO good for word counts. Honestly, I don’t think it was because of the other people around me. Setting aside three hours of the evening in a library with nothing to be done expect writing I got a good amount of words in. I only ended up going to two of the many many write-in’s they had. I think there were like three every week for the whole month. If I had a car I would probably have went to a couple more but since I had to work with my parent’s schedules I think twice was perfect. I really just wanted to have the full regional NaNo experience before forming an opinion of whether I liked online or local Nano better. Anyway, at the Kick off Party we got bingo cards and there were different tasks that we had to do in our books. (a couple of examples is like reach 10k words over a weekend [which I did not do. XD] or attend a non-ML hosted write in. Win a sprint, race someone to 500 words, fun stuff) So I was able to fill out quite a few of those at the write-ins. In the second Write-in I attended it was non-ML hosted and I got more words in than the first one. It was on November 29th and the second to last day of NaNo. It felt so good to meet those people when we all had nothing and then to meet towards the end and sort of share our progress and see how people went about their work. So the TGIO Party was supposed to be at a restaurant on the 6th of December and I was planning to go. We were to bring our bingo cards and for every bingo we were able to make we got a raffle ticket for the NaNoWriMo regional prize. But I only got one or two bingos and I never super connected with any of the people. So Thursday night as I was cleaning the kitchen after dinner I’m like “Why would I go to a restaurant I don’t know is ever good with a bunch of people I don’t really know to have an awkward expensive get together.” So guess what I did? Because I don’t really have to follow any rules I took my sister and we went to a restaurant I know is good and we celebrated just me and her and had our favorite appetizers. We talked about the movie’s we’d watched on December first for my mom’s cookies exchange (I might have to write a post about that). We discussed Finn Mcmissile from Cars 2, the difference between Francesco from Cars 2 and Stefano from Madagascar 3 (they were both Italian). It was so much more fun than going to a TGIO Party and I was so glad that I hadn’t made myself go. How to join your region. Ok there I went chattering. To join your local NaNoWriMo region you go to the NaNoWriMo site (clicking on the link if you want). You need to have an account on the site already, so if you don’t have one go ahead and make one. Then, on the dashboard there will be a button called “Region.” If you let your mouse hover over it there will be a dropdown menu that will allow you to “Find a Region.” This dropdown is the same place that you will go to visit your home region’s page. Once you click the “Find A Region” button you can then search your city and state and country. The one nearest you is going to be your home region. Pick that as your home region and you will recieve emails that will notify you that NaNo is coming up and remind you to check your home region schedule for write-in dates and locations. It’s honestly a lot easier than I first thought it would be. Personally, I won’t be doing local NaNoWriMo again. It wasn’t all that bad, it was nice to have a group of people who knew what my acronyms were, who could relate to my love for my characters and to talk to face to face. But… I guess.. It was awkward. One thing I learned was that there are the Camp people and the November people. Each person has a preference. For me that preference is Camp. It’s more intimate, more fun. You make friends with the people you’re in a cabin with, you chat through the whole day, converse, share ideas, balance each other’s crazy things and laugh too much. Another thing you can’t do during November is set your own goal. During camp in April and July you set your own goal, something you can reach and accomplish. In November everyone works for 50k and some of us can’t do that! In conclusion I highly recommend and suggest you immerse yourself at least once into your local writing community. I didn’t even know there were that many people in my area that wrote and how many local authors are indie published/working towards indie publishing! It was a great experience. 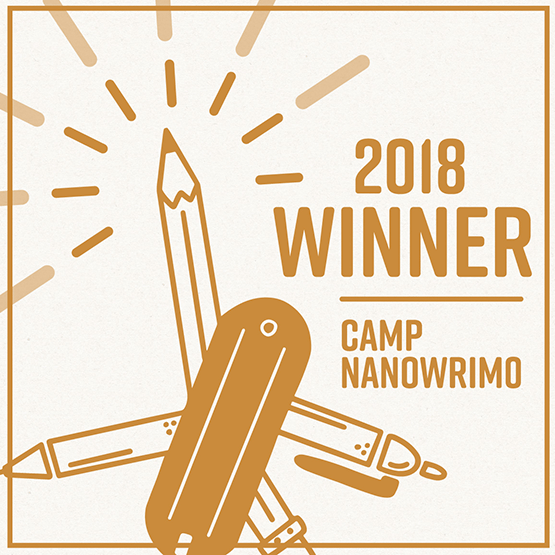 But personally, though I don’t exactly know why or how I decided this I just feel that Camp and online NaNoWriMo is much more enjoyable and fun and just a blast. That’s all for today girlies. Talk to me in the comments, tell me about you! Keep laughing and loving and living. Next page Next post: Sugared Ginger, a short story. Well. Miss Fancy Pants is back in town and now commenting on your posts. Hello. It’s a fake fake that’s what it is.